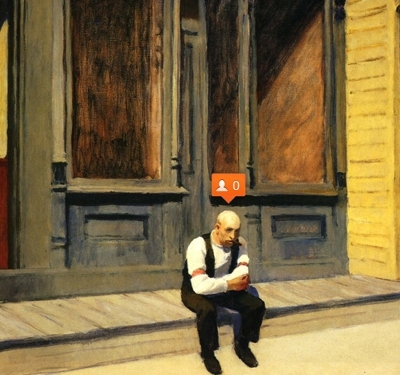 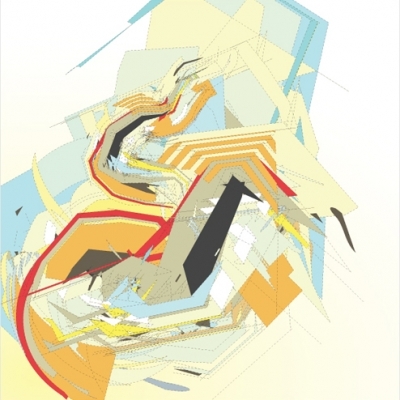 Observing decay can be a beautiful thing, especially in the modern context. 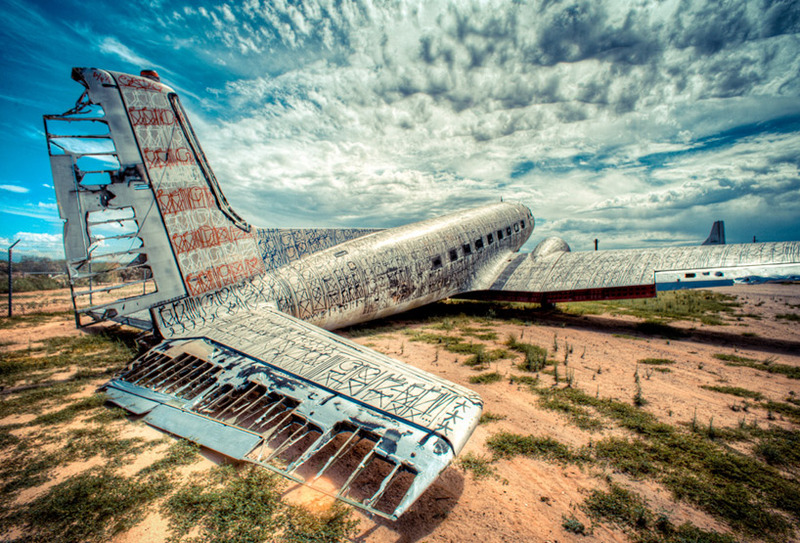 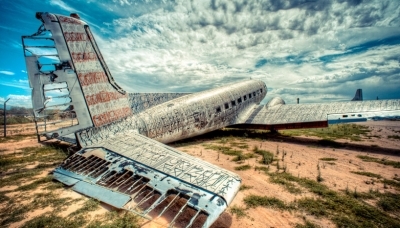 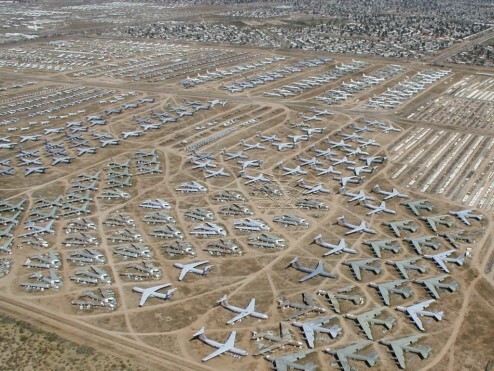 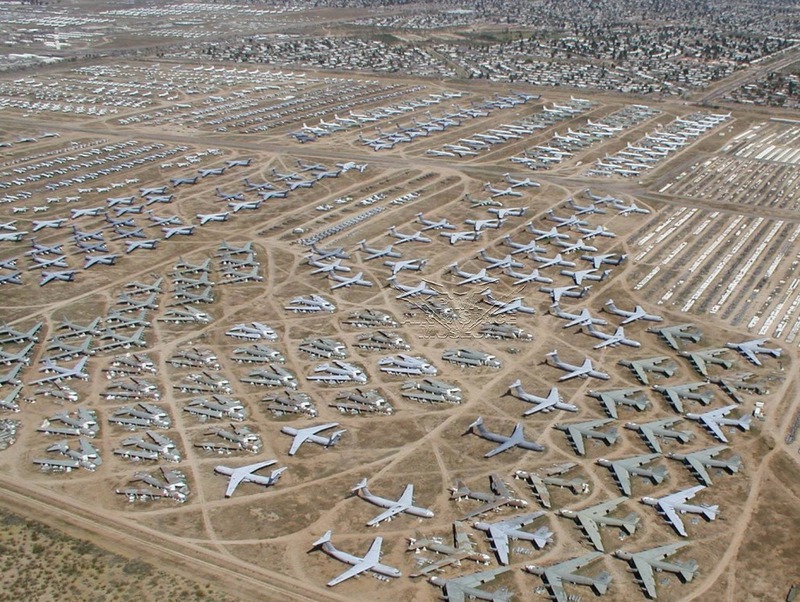 The Pima Boneyard in Tucson is one of a few mothball facilites where commercial and military aircrafts are retired and eventually stripped for parts. 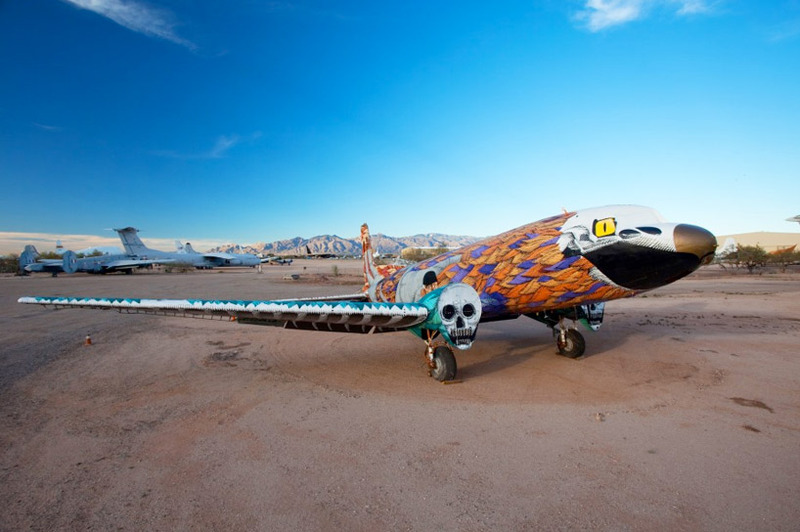 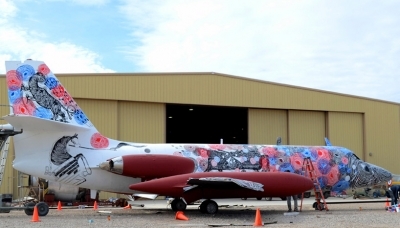 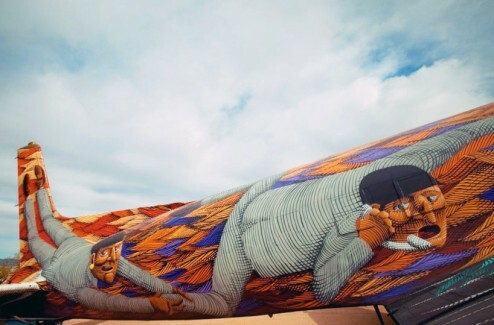 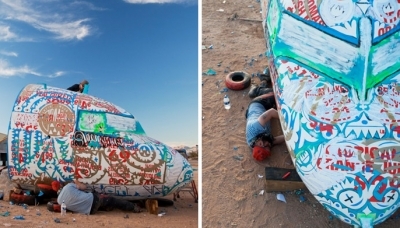 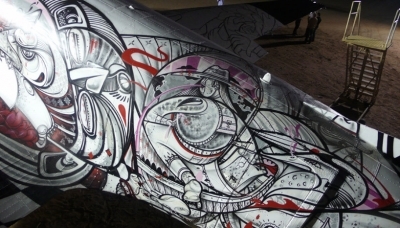 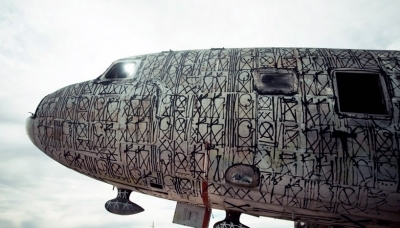 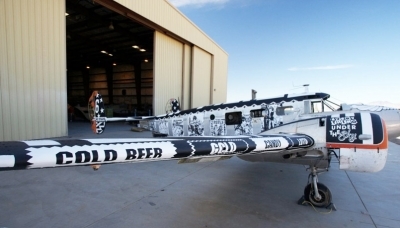 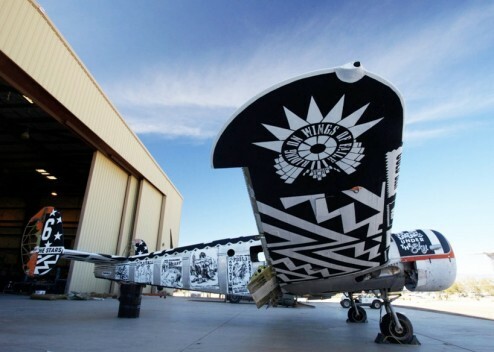 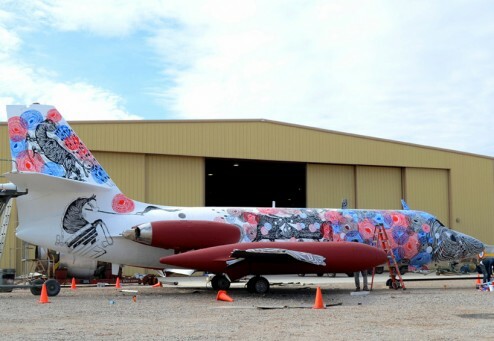 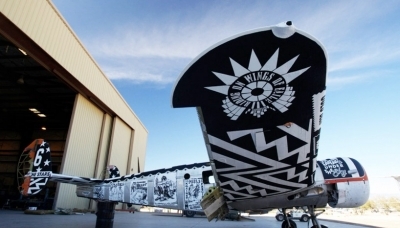 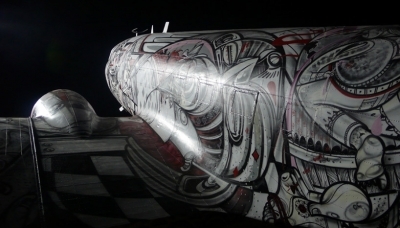 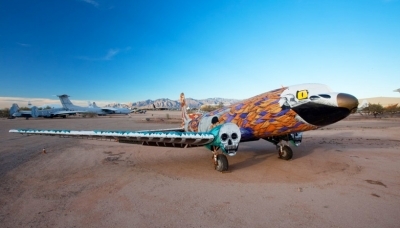 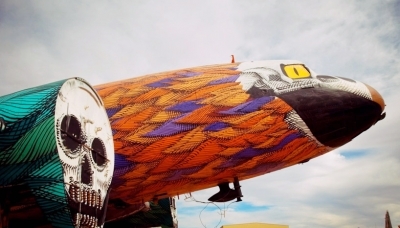 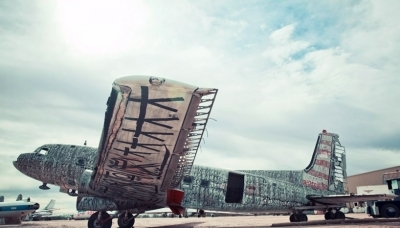 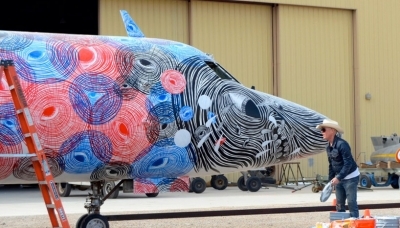 Pima invited several contemporary artist to paint mural on the bodies of retired WWII aircrafts; the outcome is quite surreal. 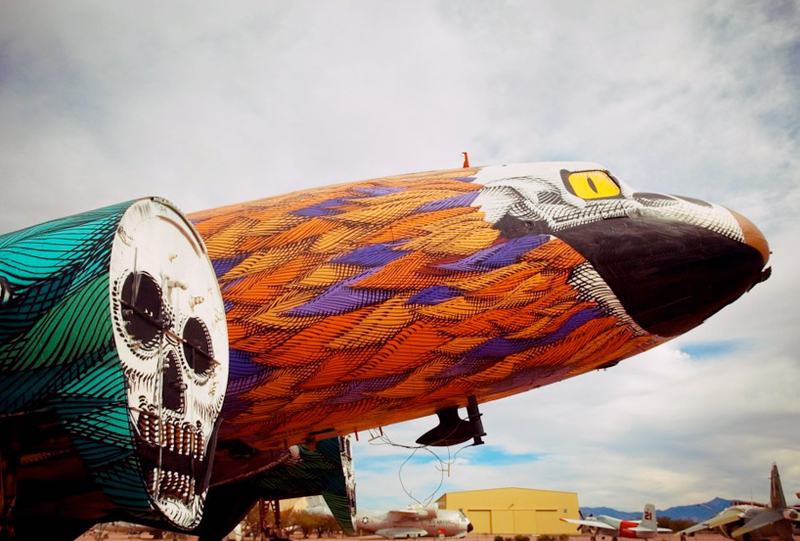 Give yourself a four-day weekend, fill up your tank with gas and make the trek to Tucson for this exhibit. 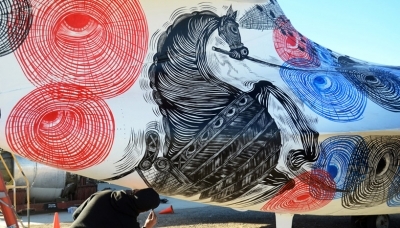 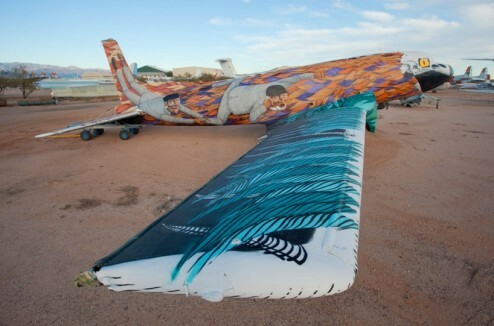 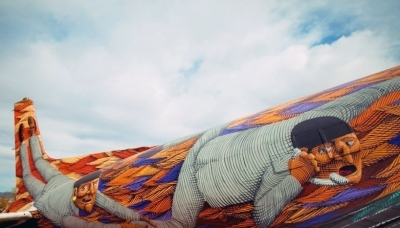 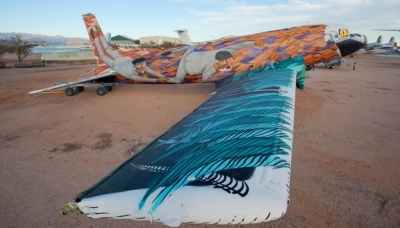 mural paintings on the bodies of retired aircrafts. 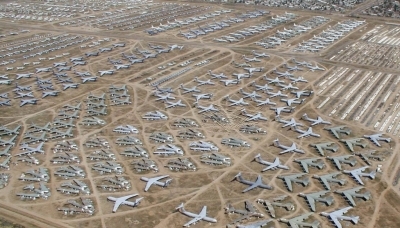 carry them into battle. 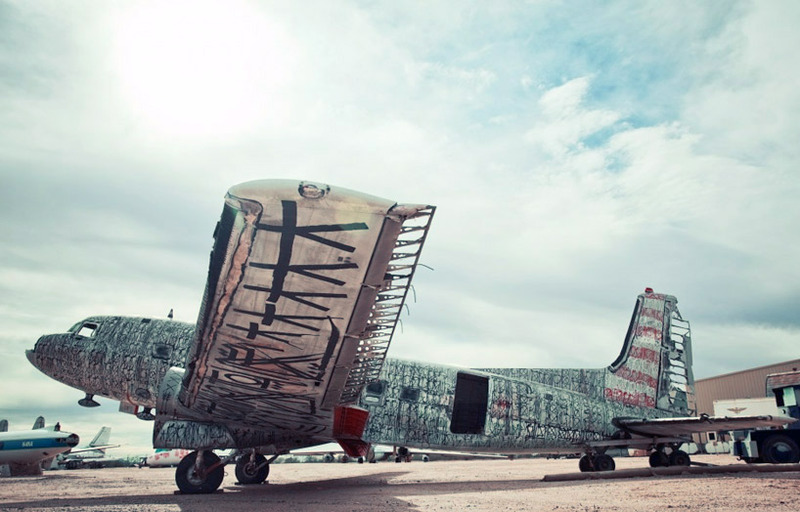 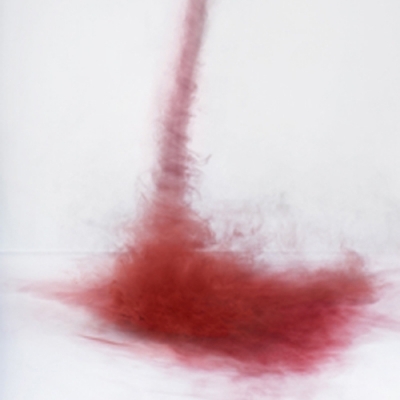 ‘The Boneyard Project: Return Trip’ is the second installation of the series in which the artists created a semi-sculptural, painted expression of his/her associations with the history of air travel and warfare.